Public provident fund – PPF is most popular investment option in India. PPF offers slow, steady and decent tax-free return. Calculating PPF returns is very simple, however people often get confused while calculating return on PPF. Don’t get confused I am herewith PPF Account Calculator for download. Before going ahead with calculator let’s check features of PPF Account Calculator. Eligibility: – Any Indian resident can open PPF account. This account can also be opened on the name of minor. It is not permitted to open PPF account on the name of HUF. Investment Amount:-Individual can open PPF account with 100 Rs/- but one has to deposit 500 Rs/- minimum per year. Maximum amount that can be deposited in PPF account per year is 1.5 Lac. This amount can be deposited in lump-sum or in 12 installments. Tax Benefit:-One can claim tax deduction under section 80 C for the investment made in PPF account. Interest earned under PPF account is tax-free. Interest Rate:-Interest rate currently applicable on PPF is 8.7%. This interest rate is announced by government every year. Maturity Period:-Maturity period of PPF is 15 years. It can be extended for 5 years and so on. Premature Closure:-If account holder passed away, this account can be closed before maturity date. Withdrawal: – Withdrawal is allowed after 7 years from year of opening account. Nomination Facility:-Nomination facility is available for PPF account. It is recommended to do nomination for PPF account. EEE Scheme:-PPF account falls under EEE category meaning contribution, accumulation and withdrawal under PPF account is tax free. PPF account can help you to create big corpus for retirement. Let us see what returns PPF account will actually offers to investors. Assumption: – In above PPF account calculator Interest rate assumption is taken – 8.7%. 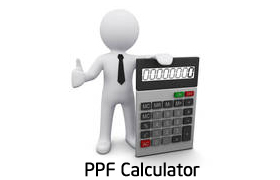 You can download PPF account calculator from here. How PPF can give return up to 11.38%? Although interest rate applicable on PPF account is 8.7% but as mention earlier PPF falls under EEE category, hence if we calculate actual return on PPF it will be 11.39%. Don’t get confused let’s do maths! If someone invest 100000 Rs/- in PPF account then he earns 8700 Rs/- yearly interest, considering rate of interest 8.7%. If that person falls under highest tax bracket 30.9% tax payable would be. In above example by investing in PPF one will get additional tax benefit of 2688.3 Rs/-. This will lead to total benefit of. Note:-This is just example considering hypothetical situation. Actual returns may vary. In addition to above amount invested in PPF also gives 80C tax benefits. Download SBI PPF account opening form here. Do share your views on PPF account Calculator. Broken link. Unable to download calculator. Kindly fix it. Link is fixed. You can download calculator now.